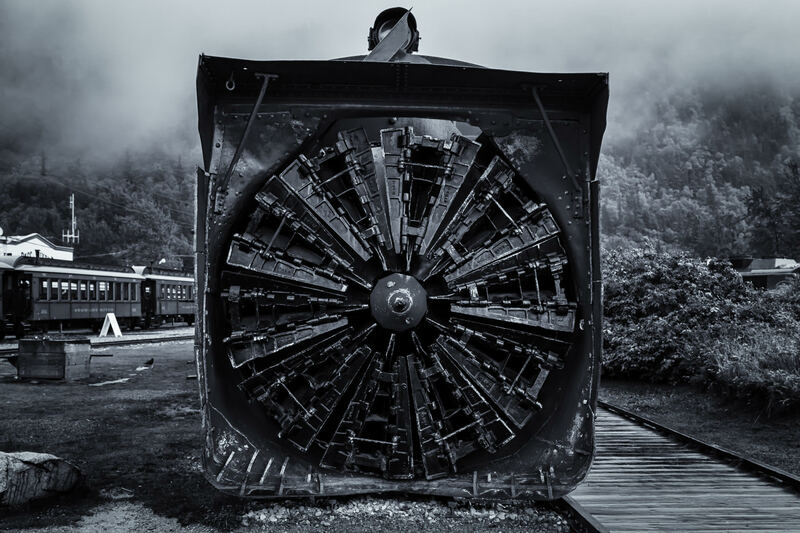 The rotary snow plow on the engine of the White Pass & Yukon Route Railway on a wet, misty morning in Skagway, Alaska. 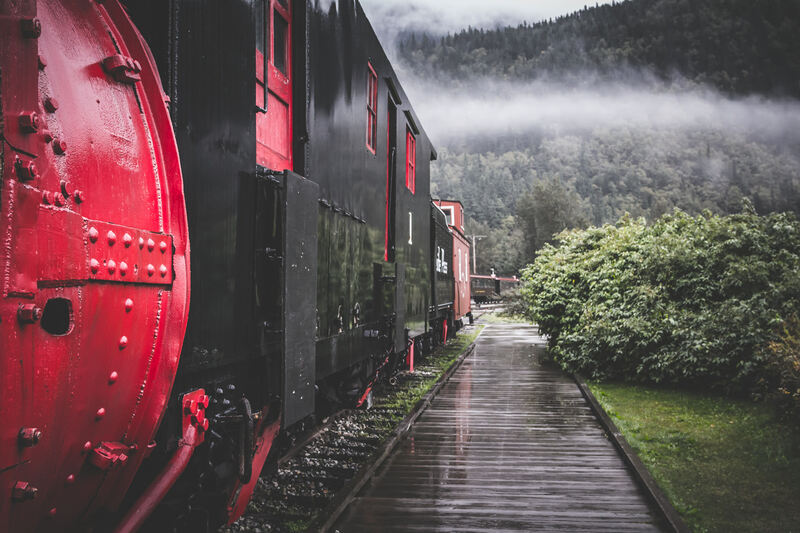 Railcars of the White Pass & Yukon Route Railway on a wet, misty morning in Skagway, Alaska. 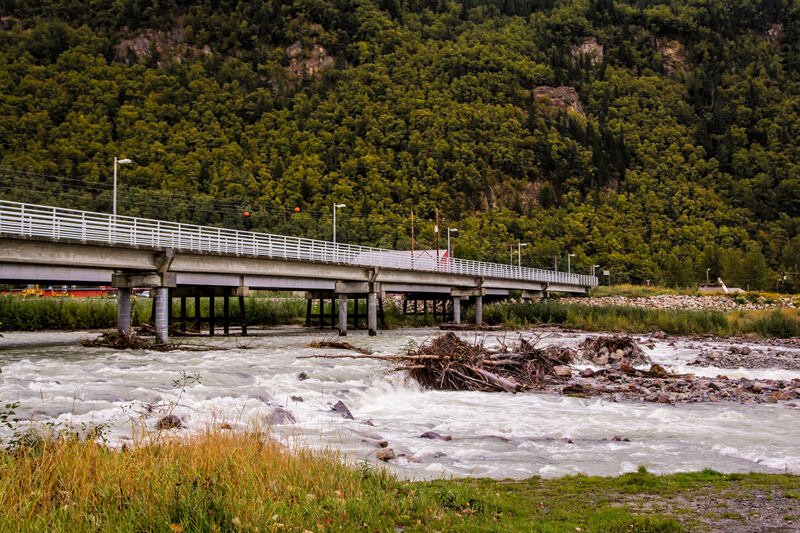 The Klondike Highway passes over a swollen creek just outside of Skagway, Alaska. 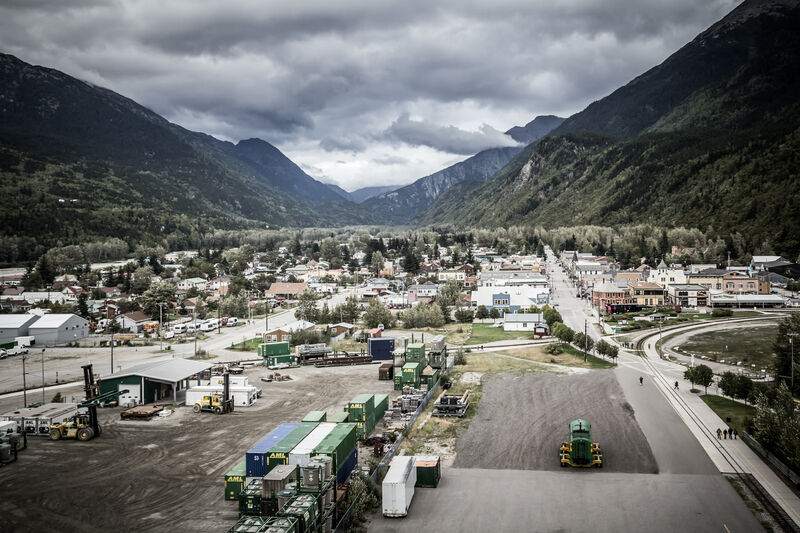 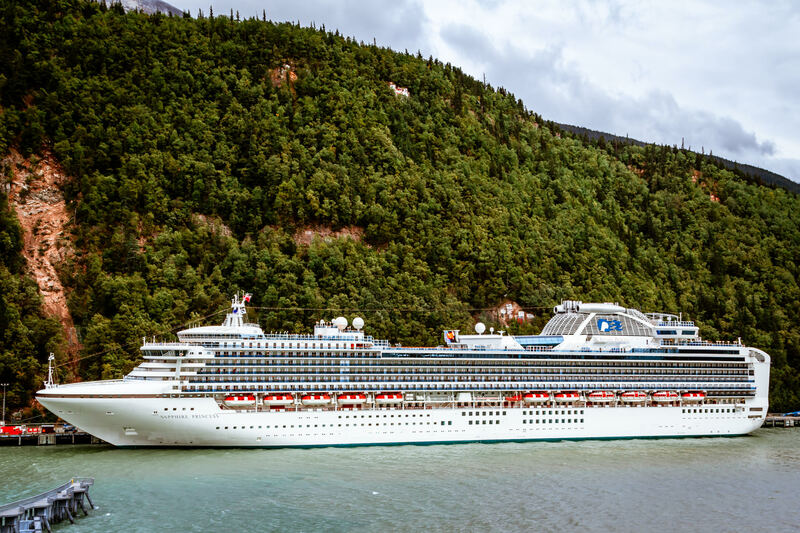 The tiny hamlet of Skagway, Alaska lies at the head of the Taiya Inlet in the Alaskan Panhandle. 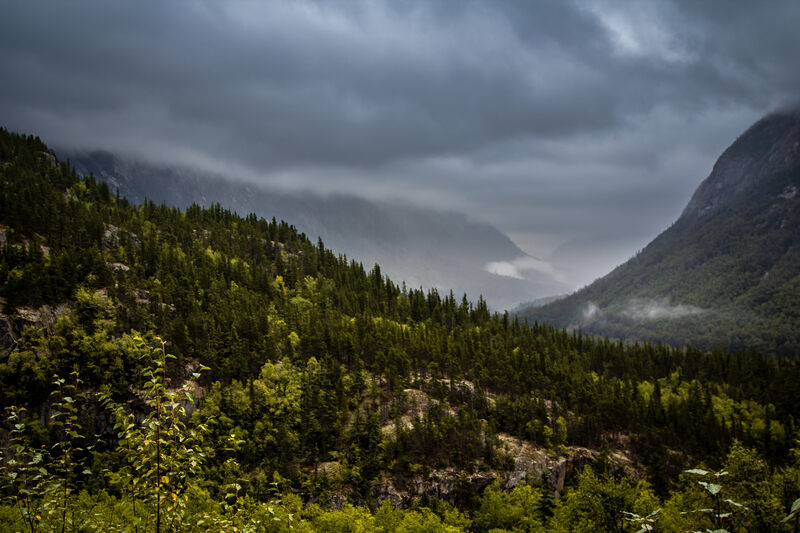 A foggy valley among the mountains just northeast of Skagway, Alaska.